Soak chana dal for 4 to 5 hour. Blend coarsely chana dal and green chilly. Make sure don’t add water. Take one bowl, add this chana dal mixture, onion, salt, red chilly powder, hing, ajwain and mix well. Add 2 tablespoons hot oil in this mixture and mix well. Heat sufficient oil in kadai to deep fry pakoda. 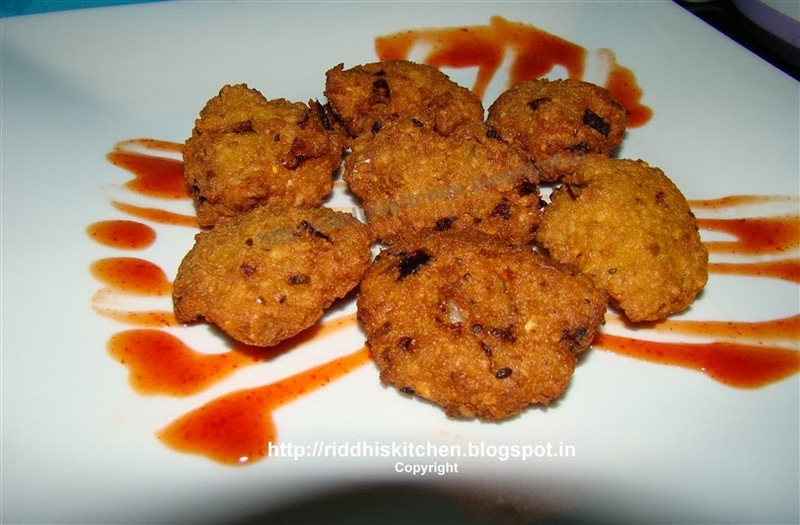 Shape chana dal mixture into small balls and drop into hot oil and deep fry on medium heat till golden and crisp. Drain on absorbent paper and serve hot with hot chilly sauce.